The most valuable thing we provide you with are lasting images and ways to present them that are thoughtfully and professionally executed. Justine's many years of experience as an exhibiting artist make her a valuable asset in helping you decide what images work together, how to incorporate them into your space, and what style of framing or printing will work most effectively for you. Linen folios make an easy and lovely present. Available with 2 openings in vertical, square or horizontal orientations. Beautiful colors. Great for a mantle or dresser table top, they can be displayed opened or closed. Popular for maternity images you treasure as well. Purchased files are delivered electronically and full sets are sent on a USB drive. Canvas, Metal Prints and Gallery Blocks give a lovely frameless finish to your images. Their simplicity makes them work singly or grouped and they are versatile enough to fit into any environment. 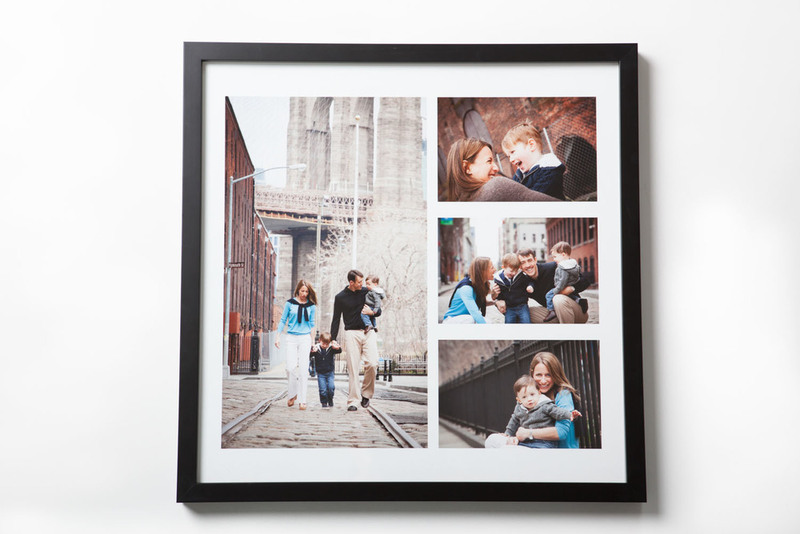 Images in context and grouped with each other can make personal and beautiful wall art. Think about where you might hang artwork from our session, even before we take the photos. We've scoured the country to find the best craftsmanship and professional printing for our books. We offer a curated choice of styles, sizes, covers. Each book is custom designed and unique. We take the time to perfect all images in your book.